Shi fu Martin is the bai shi disciple of GM. Samuel Kwok and the fourth generation of traditional Ip Man Wing Chun. He was born in Pontianak, year 1971. He learnt Karate when he was at high school and Aikido when he was in university in Jakarta. Shi Fu Martin knew Wing Chun when Ip Man was premiered in Jakarta and started learning and deepening Wing Chun since 2010. In 2011 along with 3 other Wing Chun lovers, they established Wing Chun community in Jakarta, called “Brotherhood of Wing Chun”. 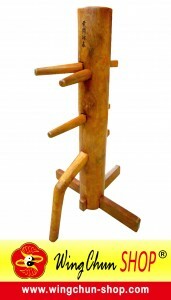 The purposes are to introduce and to spread true traditional Ip Man Wing Chun. Until now Shi fu Martin is still learning and sharing experience, knowledge as well as traditional Ip Man Wing Chun technics to all his disciples without looking at tribes or races, rich or poor and religion.